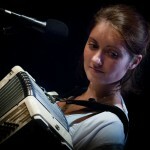 The scores are mostly adapted for accordion, but other instruments can draw from it as well. 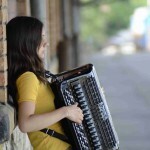 Mastering the technique of the left hand can be difficult for those accordion players without experience with Romany harmony full of diminished chords (dim) and chromatic basses. 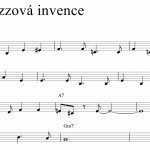 The songs can be simplified, of course, like we did with Šukar Lakha Jačha Hin and Phendžom Tuke Havelko. The scores are accompanied by live recordings of each song with ornaments and slow-paced instructional recordings. It is helpful to realize how to use the diminished chords (dim) in the left hand: to cut it short, there aren’t so many of them (3 altogether) and it really isn’t necessary to jump the whole distance from F to F#dim (such as in the song Ara More below). bass F# in the complementary row with the 3rd finger, chord Cdim with the 2nd finger, bass C in the basic row with the 4th finger, and chord Cdim with the 2nd finger. 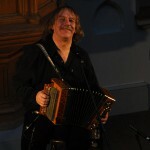 Mário Bihári, a Romany accordionist, used to collaborate with the legendary Czech musician Zuzana Navarová and the music group Koa. 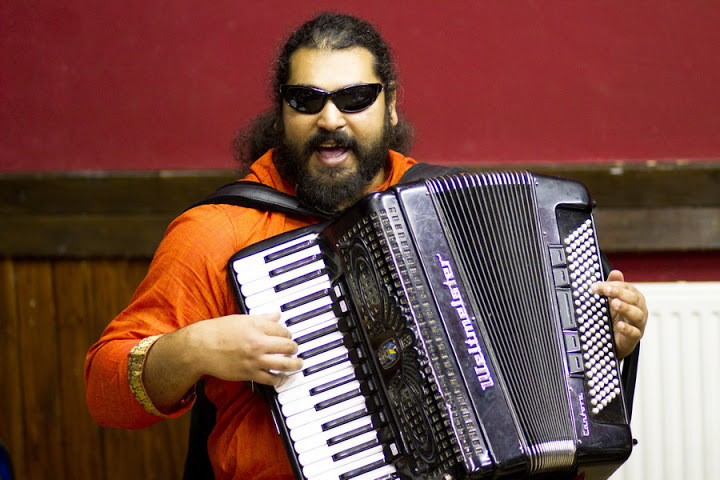 He has his own Romany group Bachtale Apsa and takes part in many other musical projects.